Transsion Holdings, best known for its leading mobile brands including TECNO, itel and Infinix, has announced a joint venture (JV) agreement with Spice Mobility, an Indian Business major across mobility space, to strengthen its foothold in the fastest growing mobile market of India. The JV was inked today in the presence of Mr. Lin Qin, Vice-President, Transsion Holdings and Mr. Dilip Modi, Executive Chairman, Spice Mobility at an event in New Delhi. 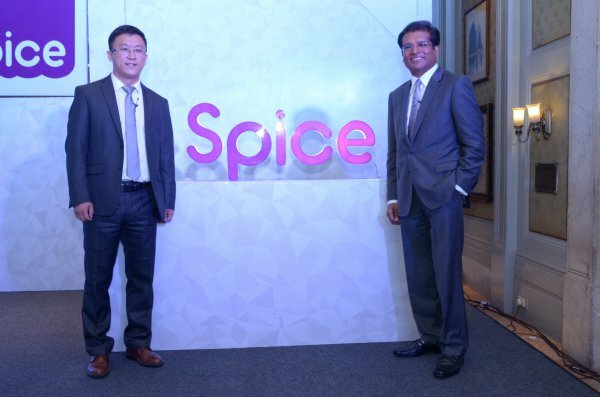 This partnership aims to revitalize the ‘Spice brand’ by cross leveraging both organisations’ strengths to offer a simple, yet, an all-new powerful and rich digital experience to the young generation of India, which is a reflection of their individuality and keeps the collectivistic sentiment intact. The new Spice brand portfolio will offer stylishly designed devices catering to the needs of the Indian youth as stated by the company. On this occasion, Spice Brand unveiled its new brand identity and philosophy – “Make Sharing Better” with Spice. In line with the new brand identity, Spice Brand will enable the users’ to create and nurture the social connections by sharing content that is enjoyable for them. The new distinctive logo of Spice was also unveiled today in Purple color which denotes a youthful, vibrant, energetic and carefree brand. The font of logo reflects the directness and at the same time, resonates with the old brand logo with the aim of being true and direct with the consumers. The uniqueness of color also talks about the unique offerings for the consumers. The rhythmic wave in the logo symbolizes dynamic relationship that the brand aims to establish with the carefree and joyful youth.